Relais du Paradis is located in Villes Dessous, a small hamlet situated at the beginning of Introd, surrounded by meadows where goats, sheep, cows and horses graze freely. 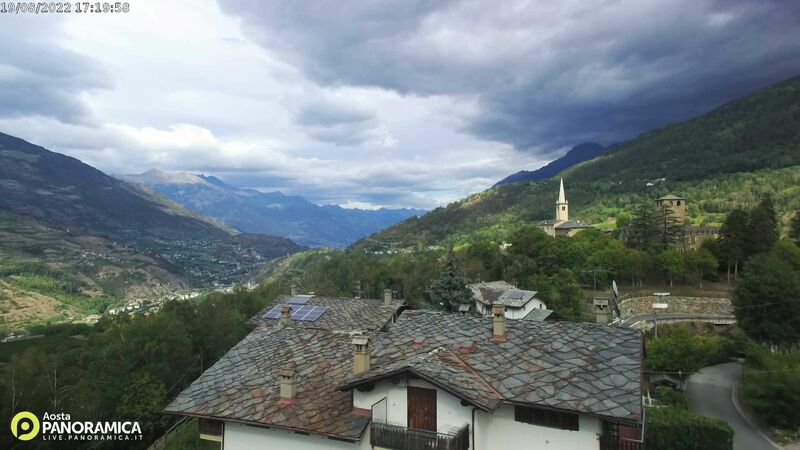 The place is ideal to enjoy a relaxing holiday and it is in a strategic position to reach the most beautiful villages in Aosta Valley, the skiing resorts and the SPAs (just 21 Km away from the one in Pré-Saint-Didier and 43 Km from Saint Vincent, where you can also find a Casino). Suitable for families, nature lovers, peace seekers and active people. From EAST: A5 Motorway - exit at Aosta Ovest-Saint Pierre then turn in the direction of Aosta-Courmayeur. At the traffic lights, turn left on S.S. 26 towards Courmayeur. Pass the villages of Saint-Pierre and Villeneuve and at the end of a long straight (Km 113), turn right on S.R. No. 23 towards Rhemes-Notre-Dame/Valsavarenche/Introd. Pass Junod and at the first turn on the right take the limited-traffic road where you can spot a chapel, a public car park and a playground. We are the yellow house on the right of the public parking lot. Park the car and proceed on foot. From WEST: Mont Blanc tunnel and A5 motorway to Aosta Ovest-Saint Pierre (then apply the same directions as above) or directly from Courmayeur take S.S. 26 to Villeneuve. At the end of the straight, turn right and follow S.R. No. 23 towards Rhemes-Notre-Dame/Valsavarenche/Introd (then follow the same directions as above). A tip: If you arrive by car from the A5 you can also exit at Aosta Est and drive through the town of Aosta along S.S. 26. You will save € 6,00 but it is possible to find a little traffic during rush hours. Arrival at the railway station of Aosta (line Torino-Chivasso-Aosta / Milano-Chivasso-Aosta), where you must take the bus (the station is located in front of the station) to Courmayeur. Get off at Villeneuve. We would like you to come as guests and leave as friends!